Or next week, at the latest. Tesla needs to get this one right. Its future depends on it, and yet some may wonder whether this new development is the right one. 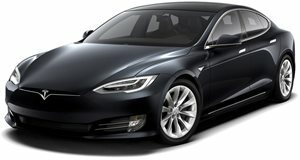 Speaking with investment bankers last week in a conference call, CEO Elon Musk, according to Gas2, announced that the upcoming Model 3 will skip what’s called beta development, thus allowing for early release cars to begin production as soon as this week on the same assembly line that’ll be used for normal production. What is beta testing, exactly? It’s the pre-production process that not only involves real world testing, but also allows engineers to figure out how to build the cars on the assembly line. This is literally the final stage before regular production gets underway, and the Model 3 will be skipping it. According to Musk, not only will his engineers be driving early release Model 3s within "one or two weeks," but also that Tesla has developed "analytical tools" which make it possible to ditch beta development entirely. This piece of news also means the Model 3 assembly line is ready to go, good news for the 300,000 anxious buyers who put down deposits. We also likely won’t be seeing any Model 3 spy shots, aside from the completely camo-free pre-production car spotted last week. Musk indicated that because of these sophisticated analytics, the Model 3’s build quality will be excellent, even for the first cars off the line. 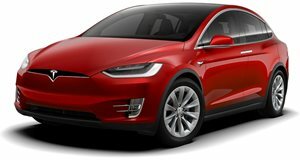 Tesla has apparently learned from the launches of the Model S and Model X, the latter experiencing lackluster early build quality. If all continues to go to plan, Tesla will meet its stated July 2017 production start date.